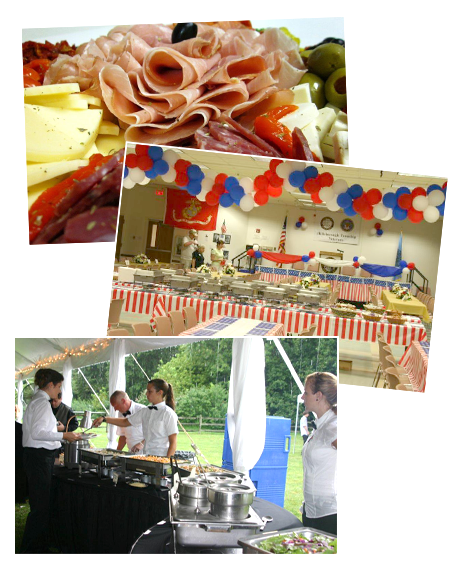 Catered Affair, in Hillsborough NJ, has been providing corporate catering services to companies, sales reps and corporations in the Somerset County area since 1986. Our corporate catering line has packages for Continental Breakfasts, Hot Breakfast Buffets, Complete Sandwich Luncheons, Open Houses, company picnics and BBQs. We accept all major credit cards and we welcome corporate charge accounts. We can provide full rentals and staffing services at your request. Please click on our various catering brochures to review our packages and then give our catering consultants a call to get your event set up for you, your clients, and/or your employees.